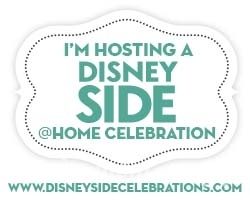 We finally hosted our DisneySide @Home Celebration last weekend! Our original DisneySide party was supposed to take place at the beginning of March and be a pretty decent sized event with what we were hoping would be fun and cool Disney themed foods and games. And then we were hit with the stomach bug and had to cancel after all that planning. A month later, we finally had a free Saturday and the day before just decided to invite 2 families, set up everything that came in our kit and make/buy easy but yummy foods while trying to stick to the theme of our kit: Mickey Mouse Clubhouse! We still watched Frozen, but 3 different foods were Mickey shaped. And if I had had the time, we would’ve had stationery labeling non-Mickey shaped food as “Minnie’s Mini Pretzels” and “Hot Diggity Dogs”. The cupcakes were Funfetti from a box mix and I put 2 oreos on each one for Mickey’s ears. I used a cookie cutter from our party kit for the Rice Krispies Treats. And the same cookie cutter cut out Mickey shaped pizza dough for our little red-top (when the cheese is under the sauce instead of on top of it) pizzas. Line cookie sheet with wax paper or foil. Preheat oven to 400 degrees. In 2-cup microwavable measuring cup, microwave brown sugar, butter and corn syrup uncovered on High 1 to 2 minutes, stirring after 1 minute, until melted and smooth. Stir in baking soda until dissolved. Pour caramel mixture over cereal, pretzels, & peanuts, stirring until evenly coated. Spread mixture on cookie sheet. Place cookie sheet in oven for 10 minutes. Remove cookie sheet. Microwave the semi-sweet chocolate chips, starting with 20-seconds and stirring, then at 20 second intervals until the mixture is completely smooth. Drizzle over the snack mixture. Let sit for about 10 minutes. Break into bite-sized pieces. The Chex Mix was a HUGE amount, so unless you have the bowls and cookie sheet to accommodate it, halve the above recipe. It was a hit though, especially with my 1 and 4 year olds. We had pillows on the floor and kitchen chairs off to the side which my husband called “stadium seating”. Then it was on with the show! If you haven’t seen Frozen, it’s another Disney hit that will have you singing for days (weeks? 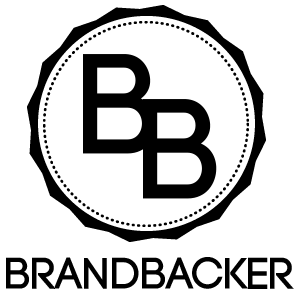 months maybe?) afterwards. If all my parties could be Disney themed (no matter who they were for), they would be! How about you? What kind of party would you plan to show your DisneySide? We received a full party kit and hostess gift from Disney Side @Home Celebrations (through MomSelect) in exchange for sharing our experience with all of you as well as our guests. All opinions are 100% my own.